David Murphy is an Adelaide based chartered professional engineer who has been designing loudspeaker systems for Krix Loudspeakers since 1997, joining Krix after a career in electronic engineering education at the Regency Institute of TAFE (equivalent to a US two year college). Prior to that he was a radio apprentice, radio technician, and gained an EE Degree while at the Philips Hendon Works. He has maintained a continuous interest in sound reproduction during his career as a technician, professional engineer, lecturer, middle and senior manager. At Krix Loudspeakers he uses Finite Element Analysis and 3D CAD extensively, and electro-acoustic measurement systems such as MLSSA, Praxis, and the AcoustX D2. He has developed a commercially successful range of acoustic horns, and integrated them into 3-way and 4-way cinema screen systems, and holds Australian and US Patents on aspects of acoustic horn design. He has undertaken technical support visits to South Korea and Japan for Krix Loudspeakers in 2004, 2005 and 2007. An AES Fellow since 2006, he has been Vice President of the International Region for four years, a Governor for two years, and is presently a member of the AES TC=SDTV and SC-0408 and SC04-03. He has presented papers at AES International Conventions in San Francisco, Copenhagen, New York, London, and Australian Regional Conventions in Sydney and Melbourne. He has been the Chair of the Adelaide Section of the Audio Engineering Society for nearly 30 years. The Section provides a forum for the local audio industry and selected interest groups and promotes education and information about all sectors of the industry. 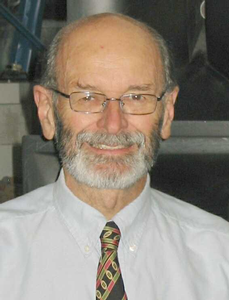 He has made numerous technical presentations to local meetings of the AES, IREE and IE Australia.